1） Initial deposit: CAD 300/person at the time of booking. Another CAD 300/person is required after 2 weeks. 2） Final Payment: 150 days prior to the departure date. Arrival at Vienna, center of the once mighty Habsburg Empire. 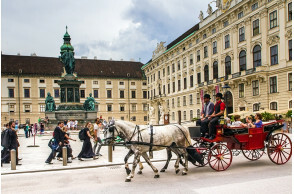 Your guided sightseeing features a drive along the Ringstrasse that will pass by the [State Opera House] , and a stop at the [Hofburg Palace] , the winter residence of the Austrian imperial family. Next we shall visit the [Helden­platz] , an impressive courtyard and famous for historical events. 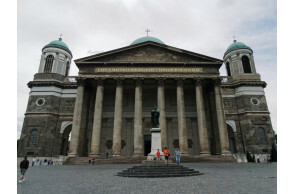 Then we will visit the holy [St. Stephen's Cathedral] . Breakfast will be served at the hotel. After, we will continue our journey to [Lake Bled] , Slovenia. Bled is well known for its emerald-green lake, [Church of the Assumption of Mary] on picture-postcard island; [Bled castle], an medieval castle clinging to a rocky cliff, and some of the highest peaks of the Julian Alps and the Karavanke as backdrops. Bled is Slovenia's most popular resort, drawing attention from honeymooners who were lured by the over-the-top romantic setting to backpackers who come to enjoy hiking, biking, water sports and canyoning adventure. The rest of the day is on your own to relax or join our optional tour program. After breakfast, a day at leisure to explore the city by yourself. 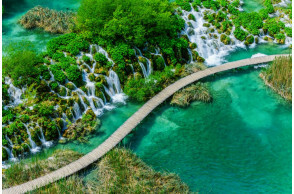 Or join our optional tour to Plitvice Lakes National Park. The park features a unique natural phenomenon of 16 lakes that are connected to each other by a continuous chain of waterfalls. This park was founded in 1949, which makes it one of the oldest national parks in Southeast Europe. This verdant paradise has been protected as a UNESCO World Natural Heritage site since 1979. 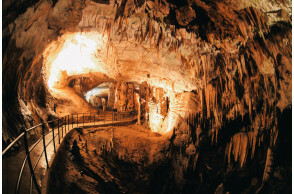 Your guided tour of the park includes a walking tour, boat trip and an opportunity to try traditional Croatian cuisine (Roasted Suckling Pig) at a well-known restaurant. 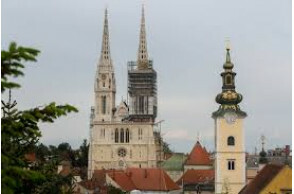 After breakfast, we will go on a city tour in Zagreb to visit [Amble past the gleaming white facade of [Zagreb Cathedral] and, the [Cathedral of the Assumption of the Blessed Virgin Mary] , visit [ Lotrscak Tower] , a forti­fied monument from where a cannon is fired everyday. Discover the city's history as you pass by Galerija Klovicevi Dvori, a museum housed within an old Jesuit monastery; [Strossmayer Promenade] , the leafy terraced walk­way that links Zagreb's lower town to its upper town; the Stone Gate, one of the city's prettiest landmarks; [ Krvavi Most], also known as the "Bloody Bridge." Later we will leave for the capital of Hungary, Budapest, and visit "The Pearl of Danube River" In our journey over there we will pass by Lake Balaton, it is a freshwater lake in western Hungary. It's a major holiday destination with beaches, volcanic hills and resort towns. After breakfast, it will be your day at leisure to explore the city by yourself. Or you can join us for an optional tour. Your local guide will take you through Eastern Europe's most cosmopolitan city. From the lacy lookout towers of [Fishermen's Bastion], enjoy a panoramic view of the sprawling city. Then, admire the 13th-century [Matthias Coronation Church] and [Hero's Square]; walk along with your guide as you admire UNESCO-listed Buda Castle, the jewel in Budapest's crown; and visit [ Hungarian State Opera House] and [Congress House] that was built in 1904. Take a river cruise on Europe's second-longest Danube river and see how the elegant city is united between west bank Buda and east bank Pest. These three towns are most beautiful along Danube river. First, we will visit Szentendre, a charming town in Hungary with Mediterranean atmosphere and lively art life near Budapest. It is well known for its museums, galleries, and artwork. Secondly, we will visit Visegrad, it is 40 km north of Budapest. Visegrad and Borzsony make for beautiful backdrop at a sharp bend in the Danube. We then will visit the [Royal Palace] where the famous meeting of the Hungarian was hosted, Polish and Czech rulers in 1335. The next visit is to the famous [Primatial Basilica of the Blessed Virgin Mary Assumed Into Heaven and St Adalbert], also known as the [Esztergom Basilica] in Esztergom, the mother church of the Archdiocese of Esztergom-Budapest, and the seat of the Catholic Church in Hungary. It is the largest church, and the tallest building in Hungary and the 18th biggest church in the world. After that, we will leave for Bratislava, the capital of Slovakia. Join your guide for a walk through the beautiful streets of the city, pace your way to the [Gothic Old Town Hall] , constructed in the 14th century and still standing proudly on its original location. Explore the charming Biela Street with its delightful cafes and boutiques. And eventually arriving at the largest church in the city, [St. Martin's Cathedral]. 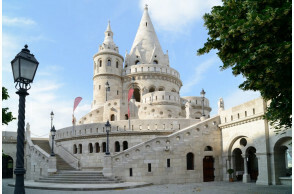 Learn about the history of the coronation church for the kingdom of Hungary during the 16th century, about the many kings and queens passed through this important site. Towards the ending of today's trip we will leave for Ceske Budejovice - provincial capital of southern Bohemia of Czech Republic and hometown of Budweiser Beer. 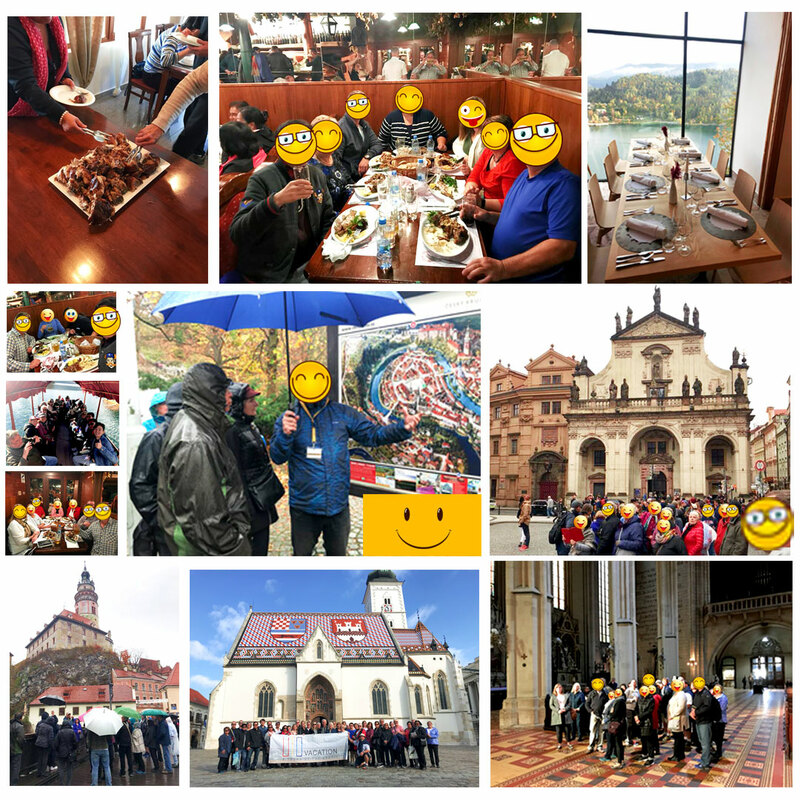 After hotel breakfast, we will visit [Cesky Krumlov] - the [Old Town Square], Unesco World Heritage Site with a glourious castle above the [Vltava River]. Renaissance and baroque architecture all within walking distance of this charming city. After that, we will visit a famous spa town [Karoly Vary] and stay overnight in a local hotel. After hotel breakfast, we will explore this famous spa town. The town enjoyed a vogue in the 19th century when all manner of fashionable folk (including Beethoven and Chopin) rolled up to take the medicinal waters. Visitors can still indulge in a number of treatments here, including the drinking of the whiffy spring waters and buy some unique souvenirs. Then we will go to [Prague], well-known for its [Old Town Square], the heart of its historic core. It is surrounded by colorful baroque buildings, [Gothic churches and the medieval Astronomical Clock], which has an animated hourly show. After breakfast, a day at leisure to explore the city by yourself. Or join us for an optional tour. After hotel breakfast, we will walk across the Vltava River and up the hill to the biggest castle complex of continental Europe, [Prague Castle] Dating from the 9th century, the castle was a seat of power for kings of Bohemia, Holy Roman emperors. And now it is the official residence of the President of the Czech Republic. 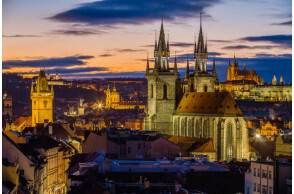 We will tour the [St. Vitus Cathedral], [Old Royal Palace], [St. George's Basilica], and the [Charles Bridge] - one of Europe's most entertaining promenades. And finally we will experience for ourselves whether or not Prague really is the home to the best beer in Europe. You can refresh yourself with beer tasting from the [Strahov Monastery's Brewery]. After lunch, you're on your own to travel back to the [Old Town], where you'll be free for the evening. Leave for USA/CANADA after breakfast. 3) 4-star hotel accommodations with daily Breakfast. 4) English speaking tour guide. 6) The hotel as listed in the itinerary are subject to change and may be substituted with a similar category hotel without prior notice. 7) IF UNAVAILABLE. MULTI-CARRIERS/AIRLINES ARE USED FOR THE GROUP TOUR AIRFARE. ONCE THE GROUP TICKETS ARE ISSUED THE AIRLINE INFORMATION MAY BE RELEASED BY THE GROUP TICKETING DEPARTMENT ABOUT 30 DAYS PRIOR TO TRIP DEPARTURE. 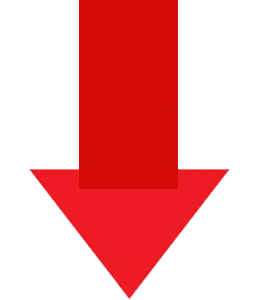 UTO VACATION CAN RESERVE THE RIGHT TO ISSUE TICKETS WITHOUT PRIOR NOTICE. 8) ANY DEVIATIONS TO OTHER DESTINATIONS AND OR EXTENSIONS ARE SUBJECT TO A $150 CHANGE FEE, PLUS ANY AIR FARE DIFFERENCE---PLEASE CALL 1-855-526-1286 FOR DETAIL INFORMATION. 9) This tour DOES NOT REQUIRE A VISA FOR USA & CANADA PASSPORT HOLDERS.